MotoringExposure is a site for those who love cars and the automotive lifestyle. There is no better expression of this than the 2013 goldRush Rally. Here, the most elite enthusiasts gather to celebrate this glorious lifestyle. For four years, the rally has attracted friends and fans of the hypercar culture and become the premier rally it is today. The 2013 goldRush Rally promises a week with all the thrills of past years – plus more! The goldRush Rally (yes, the spelling is correct) is an exciting mixture of road rally, high-style concours and exclusive party. Throw a few Prancing Horses and Double R’s in the mix and you have the makings of the greatest supercar gathering on earth. It is the luxury lifestyle car show that you have waited for your whole life. Participants pay an entry fee that covers two team member’s hotel, parking, car transport, and airfare from Vegas to Dallas (where you and your car get a rest). This is no motel or paper plate situation. No expense is spared and only the best in lodging and luxuries are acceptable. As the event’s website says “God is in the details”. Teams can opt to take the entire rally or one of three separate legs of the tour. Daily activities such as Exotic Drag Racing, Bikini Contests and National Park Tours, fill the air with fun, excitement and exhaust fumes. All things are done with excellence to provide a pleasurable experience for the partakers. The rally will begin in San Francisco with a launch party that is planned to break records and then teams travel to L.A. for a number of events before screeching off to Las Vegas, Nevada. What is done in Vegas, stays in Vegas, but what is driven there gets transported while you relish in the glamorous life and then fly to meet your trusty steed in Dallas. Open then taps on your GT3-RS through the twists and turns of the Ozarks and two other stops before heading into the Windy City for the “I-cannot-miss-this-for-anything-in-the-world” finale party. No undertaking of this magnitude can be done without the help of honorable contributors. Chicago Motor Cars, 360 Jets, dgn Performance, SXRG Energy Drink, Meguiar’s and a host of others have done everything to make this rally the success it has been for four years. We will talk with some of the organizers and participants in Chicago and bring some exclusive pictures from the event. Special thanks to Carla Giordano, the Central States Regional Director for the Lamborghini Club of America for all of her help and info on this event. 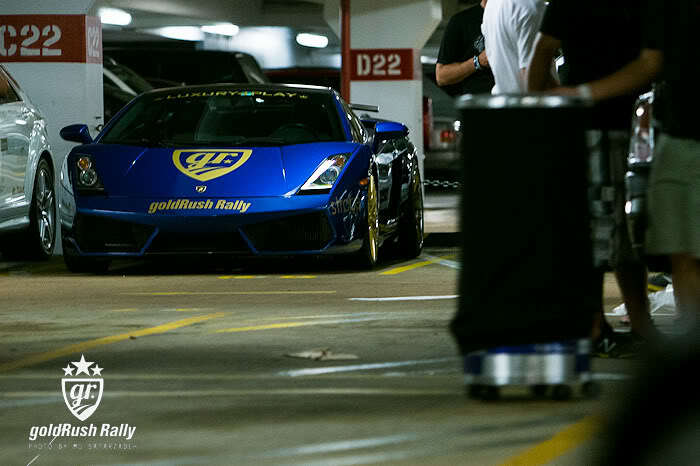 If you are interested in registering, time is ticking go to http://www.goldrushrally.com/content.php for details. This is a wonderful summer event for the exotic car owner. Especially if you’ve just finished the summer tuning on your Maser or Veyron and want to open it up. 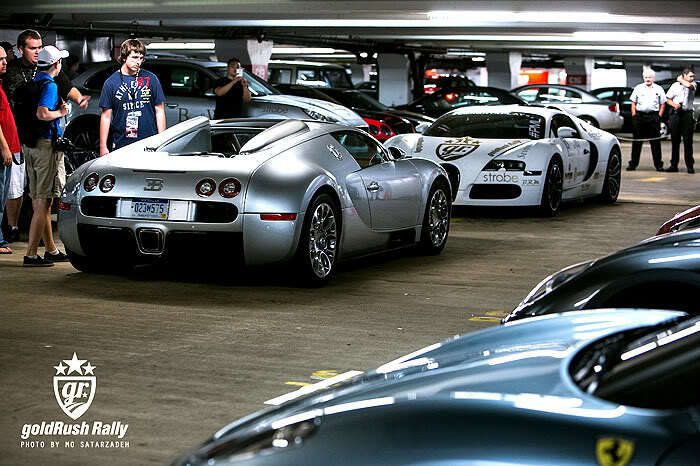 How better to enjoy your supercar than a week long drive with like-minded individuals? C’mon, let’s get in on the goldRush! Are you excited for the 2013 goldRush Rally?